It's anything but basic, but Danta's definitely relaxing. 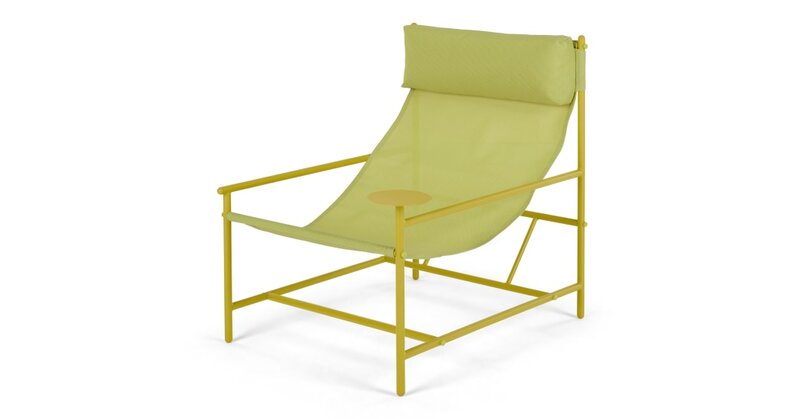 This chartreuse garden chair has a simple frame and woven sling design, making it a comfy place to sit. There's a head cushion too, and the arm rest has a designated, built-in cup rest which you can use on either side. If colour's your thing, Danta's your garden chair. The powder-coated metal frame and woven sling seat are crafted from complementary, tonal shades – making it a dream to style.